BAseball Reality Tour: Throwing Strikes or Effectively Wild? Warning: This post includes a lot of numbers, some observations, and unfortunately very few conclusions. Last month, we looked at pitchers with extraordinary abilities at missing bats in the zone. Tonight, in the spirit of illuminating discussions, we'll be looking at pitchers with at least 120 IP, who's 2010 seasons were extreme cases of control or wildness. The old adage insists that throwing strikes in conducive to making outs. Guys who can't throw strikes, like Andy Pratt, give up easy runs and don't stick around for long. Effectively wild pitchers usually succeed by keeping hitters off balance, perhaps afraid of getting hit, and miss bats with unpredictable movement. Think Randy Johnson, the 'good' Mitch Williams, and the Indians' Ricky Vaughn. The Marlins are actually good. Looking at these lists, using are biased opinions on these players, it seems the list of lowest strike % last season has pitchers who achieved success and relative failure last season. Some of these players, like Wilson, of the Rangers, of the two Oakland A's on this list were effectively wild. We'll get back to that in a few minutes. The next statistic we'll look at is the percentage of pitches thrown inside of the strike zone. Please note, this is not the same as strike percentages because some balls tracked by Pitch f/x as "in the zone" may have been called a ball, and pitches outside of the zone could end up as called strikes, swinging strikes, or strikes in play. Cliff Lee was incredible in 2010. 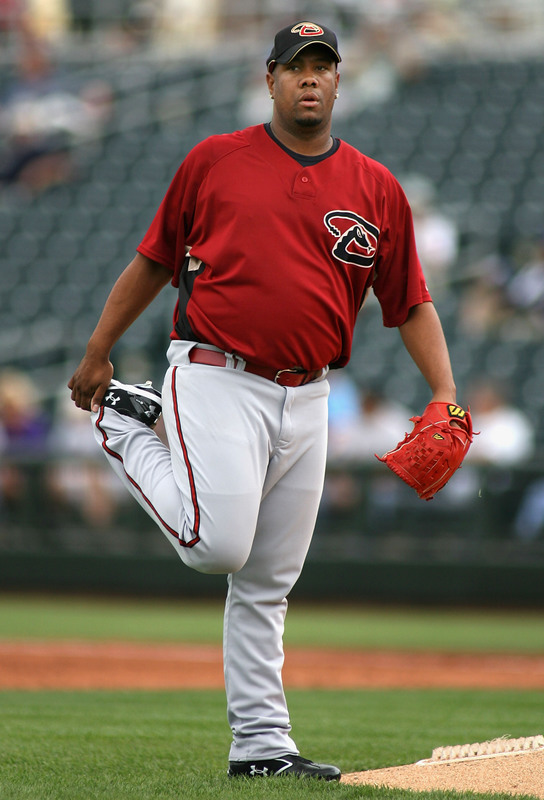 Quickly, we see one clear instance of how different Johan Santana and Francisco Liriano actually are. Liriano was very good last year, yet he was in the bottom 10 of this stat, while Santana was in the Top 10. Cliff Lee's K/BB ratio last season was an astronomical 10.28. How high was that? * Among pitchers with at least 120 innings pitched, the next highest was NL Cy Young Winner Roy Halladay, with a 7.30 K/BB ratio. 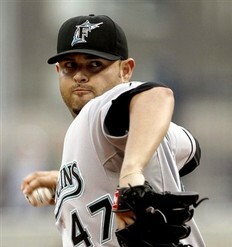 The third place finisher was the Marlins's Ricky Nolasco, and his was just 4.45. AL Cy Young winner, Felix Hernandez, struck out more batters than Cliff Lee last year in total and on a per innings basis, yet his K/BB ratio was just 3.31. That's still very good, as evidenced by his Cy Young award and the fact that it ranks 17th among the 127 players who pitched at least 120 Major League innings last year. 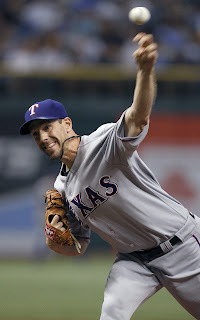 Once again, Cliff Lee: 10.28. *The quick answer to the question is the 2nd best K/BB ratio of all time. The best all time was Bret Saberhagen's 11:1 KK:B ratio in strike-shortened 1994. I like finding the two most prominent knuckleballers in the game ranked 3rd and 4th on the list of pitches in the strike zone. They don't know where their knuckleballs will necessary flutter, so they usually aim for the center of home plate. Plus, when they throw a different pitch, it's often with the intent of sneaking it past the batter for a strike. It's also interesting, at least to us, that one of these guys had a very good year and the other one had a very poor season. The final statistical extremes we'll use to find more players for this brief study is the first-pitch strike. Coaches, Managers, and TV announcers all the time mention how important that first-pitch strike is. Many moons ago, Craig Burley of the Hardball Times looked at data from 2003 season and showed that a first-pitch strike lead to a .296 OBP, while a first-pitch ball helped hitters average a .385 OBP. Repeat: Don't sleep on the Marlins. How awesome are Major League pitchers that even the least effective first-pitch strike starters last season threw at least 59% first-pitch strikes. In fact, if you round to the nearest whole number, Big-Z would be the only player below 60%. All in all, it's not much of a spread if the 10th best and the 10th worst at this statistic have scores of 64.7% and 60.2, respectively. 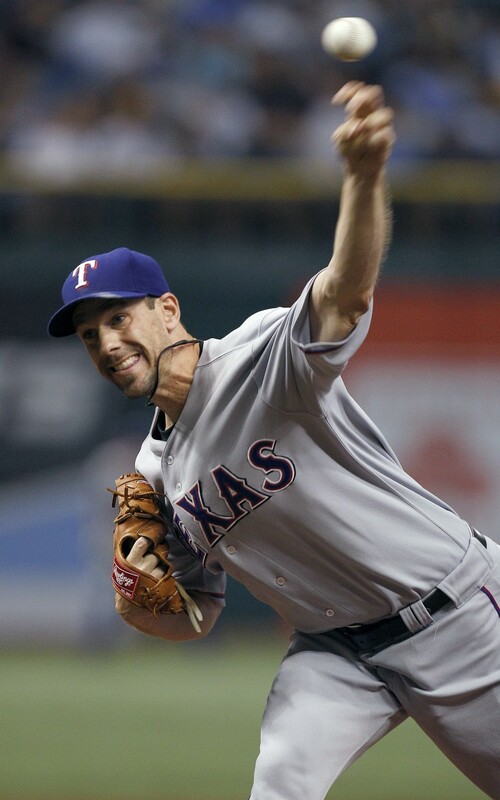 Taking a step back to look at this collection of arms, we already know that Cliff Lee had an awesome 2010. Guys like Yovani Gallardo, and the aforementioned Liriano are obviously effectively wild. Is Jeff Karstens really good? Or, is he ineffectively under control? We really want to see if anyone can pleasantly surprise us with their wild effectiveness. Let's look at this group of players together, and see how they compare in broader statistical measurements, like Earned Run Average, Fielding Independent Pitching, ERA+, and Wins Above Replacement. In fact, let's show the numbers as the following set of slash lines (ERA/FIP/ERA+/avWAR*). Please note, bolded numbers indicate they are the best of the group; italics are for the worst numbers we found. was very good in 2010. Final observations: Livan Hernandez actually had an excellent season last year. Liriano is effectively wild. He gets more swings and misses on pitches out of the zone (44.2%) than everyone over 120 IP last year, except Manny Parra (45.6%), Cole Hamels (44.6%), and Ryan Dempster (44.3%). Gio Gonzalez also had a fantastic season, in spite of throwing fewer strikes than all but about nine of his peers. Carlos Zambrano was another fellow who's wildness, craziness, and unpredictability probably left batters a bit uneasy in the batter's box. Jeff Karstens should probably try missing the strike zone a little more with his offerings. Brian Bannister is headed to Japan, and we're sure he's aware of his FIP. We wish him the best of luck in the land of the rising sun. 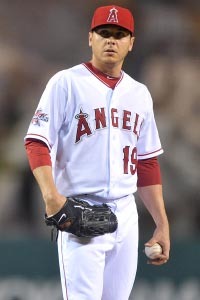 Scott Kazmir will probably still be drafted in rotisserie leagues, likely due to his K/9 numbers in Tampa Bay, but he is on a downward trend we recommend avoiding completely. For all you rotisserie or fantasy players, or ERA/FIP junkies, the guys to look at for bounceback seasons in the ERA dept in 2011 are Francisco Liriano, Yovani Gallardo, Ricky Nolasco, and perhaps Craig Stammen. Stammen may be relegated to the bullpen, but regular readers of this space we absolutely adore effective Relief Pitchers who are eligible for the Starting Pitching spots in rotisserie lineups. 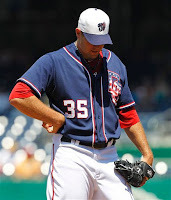 Stammen will have to improve his performance as a reliever. Last year, as a reliever, his opponent's triple-slash line was a robust .309/.368/.474, or in more a fantasy perspective, his WHIP in that role was a disgusting 1.70. Guys who may be deceiving at their ability to limit runs, and you'll want to avoid, include R.A. Dickey, Trevor Cahill, and Ted Lilly. ERA/FIP junkies know where to go to see the biggest margins in ERA/FIP at any moment. I remember reading about that somewhere before last season. Maybe it was at RotoAuthority, RotoProfessor, or even MLBTR. In the near future, I'll do a quick Interweb search for the numbers. If they aren't super easy to find, I'll share them here as we approach fantasy drafts. In fact, I'll also throw in some 2011 ERA projections, for an extra dose of geekiness.